Nymphs There are 6 products. 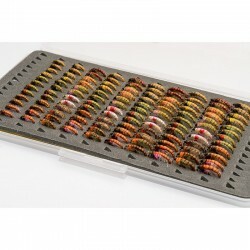 Nice collection of 120 Czech Champions Nymphs packet in handy light free + fly box. Beautiful present for every fly fisher. 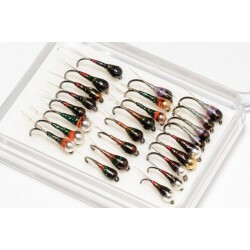 Set of 25 Spanish style fast sinking nymphs featuring smooth UV epoxy body and tungsten bead. 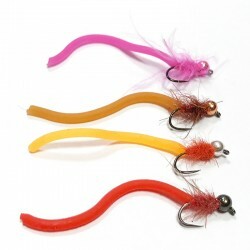 They are perfect trout and grayling flies for European style of nymphing. 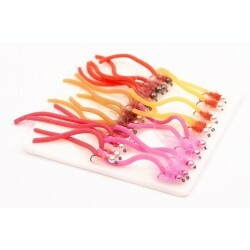 Fly size 14-16, bead size 2.0-3.5 mm, 5 patterns per 5 pcs, barbless hooks. 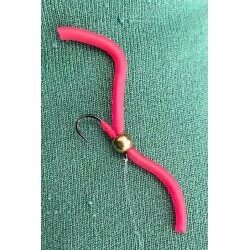 This nymph style is favorite for Spanish and French competition fly fishermen. Personally tied by Jan Šiman.